This page is based on a visit to Saone which was made in April 2010. 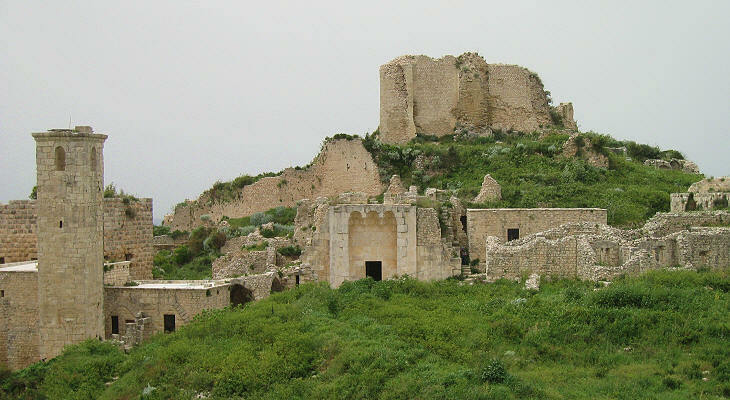 It does not reflect the impact of the Syrian civil war on the castle. A series of low ridges separate the coastal strip of Syria from the interior of the country; from a military point of view these ridges acquired importance when the two regions were not controlled by the same power, This situation occurred in the Xth century when the Byzantines managed to reconquer parts of Syria along the coast, but were unable to establish firm control over the upper valley of the River Orontes where Hama and other towns remained in Arab hands. 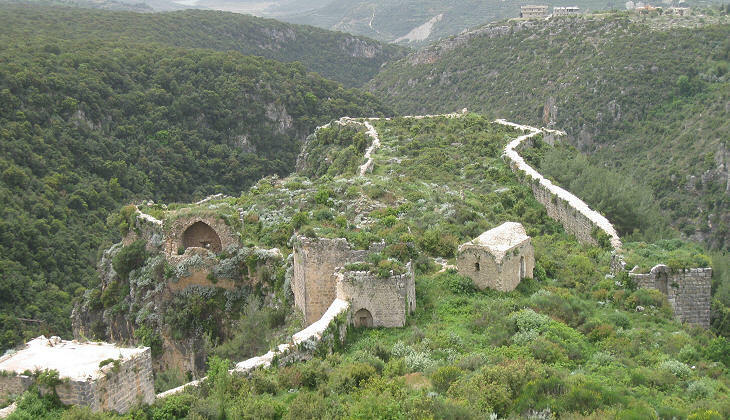 The location of Saone was not particularly important because it did not control the road leading from the coast inland towards Aleppo; in addition an enemy moving towards Antioch could do this through the Orontes valley without crossing the ridge; military experts think that the Byzantines fortified the site because they believed it would have become a thorn in the side of the Arabs, had they attempted to attack Antioch or the coastal strip without having seized Saone. 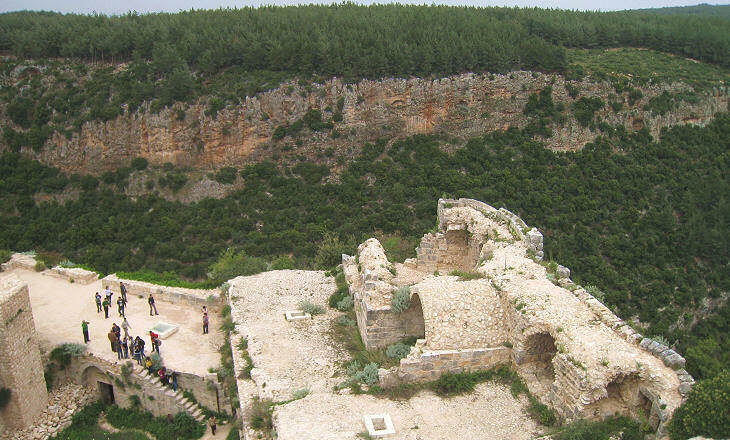 The Byzantine fortifications consisted of a polygonal keep on the highest point of a small plateau which was protected on three sides by two joining ravines. The keep was surrounded by two curtains of walls. The masonry was based on small stones with significant use of mortar. 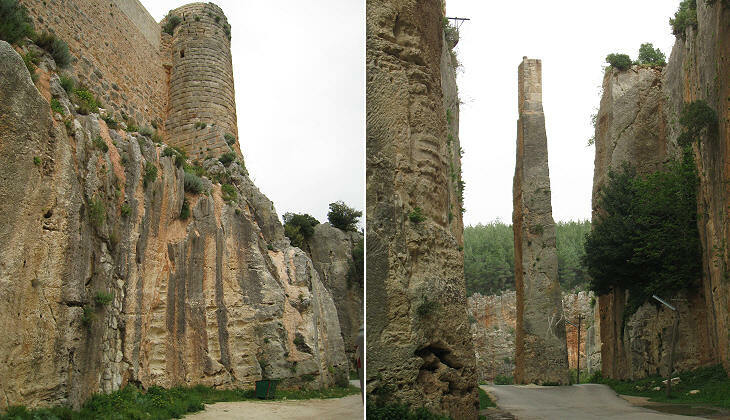 The circumstances which led the Crusaders to gain possession of the castle are uncertain; although after 1071 the Seljuks conquered most of Syria, it is likely that the Byzantines retained control of Saone which they eventually handed over to the Crusaders. There is a record saying that in 1108 during the reign of Bohemond I, first Prince of Antioch, Saone was assigned to a knight (Robert, son of Foulque). His family ruled over Saone and the surrounding country for eighty years during which time they made an enormous effort to strengthen their castle mainly by deepening and widening a moat, which probably the Byzantines had already started to cut. At Edessa (today's Sanliurfa), the town which saw the establishment of the first Crusader State, the fortifications of the citadel were strengthened by digging a moat around its western side; it is possible that the lords of Saone heard about it and thought it would make their castle unassailable. 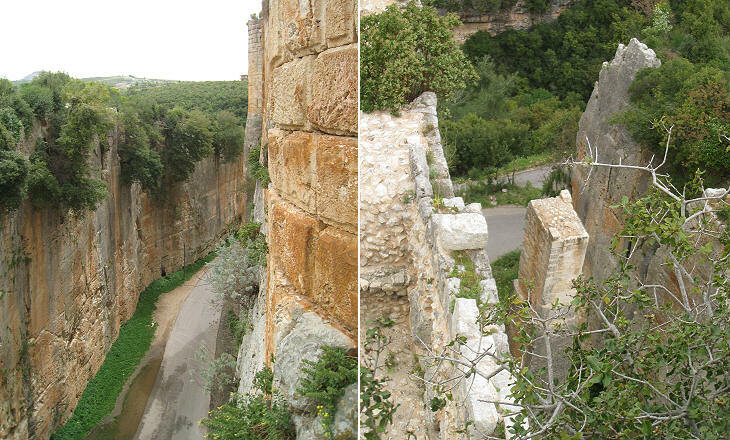 They did not achieve their objective as Saone fell in 1188, but the moat is so impressive that in 2006 the castle and Krak des Chevaliers were included in the Unesco World Heritage List - external link. The lords of Saone concentrated their efforts on the side of the castle which was protected by the moat and they built impressive walls and towers right on the edge of the rock; in particular they built a large donjon there, while the military technique of the time suggested a more protected location; a possible explanation suggests that they did it to show in a visual way the strength of the fortress, in other words that they sacrificed effectiveness to appearance. It was perhaps the only luxury they afforded themselves because in the castle there is no evidence of a residential section. 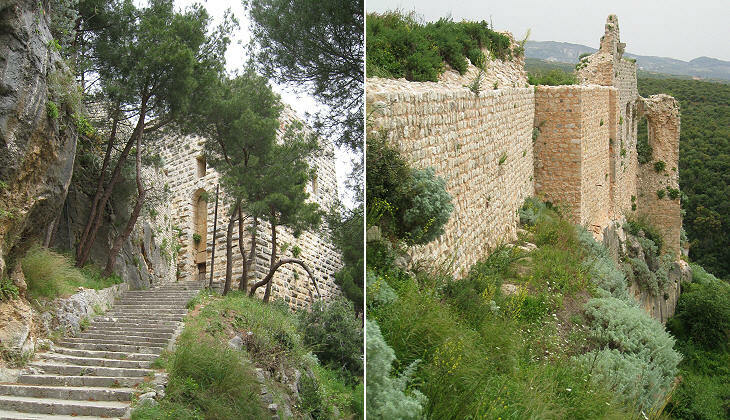 After having conquered Jerusalem in 1187, Saladin moved northwards towards Antioch; he did not manage to seize Krak des Chevaliers, but he succeeded in taking Saone; he personally led his army and he shouted insults to the defenders from the other side of the moat and his soldiers threw stones against the solid walls; as a matter of fact it was just a diversion: while the defenders enjoyed the show of seeing the conqueror of Jerusalem blocked by their moat, Saladin's son led other troops to the assault of the opposite side of the castle, where the old Byzantine defences along the ravines had not been strengthened enough. In three days Saone surrendered. The Princes of Antioch never managed to reconquer Saone which became the residence of a minor emir linked to Saladin; in 1272 it was peacefully surrendered to Baibars, the Mameluke sultan who, after having defeated the Mongols, led a successful campaign against the remaining Crusader territories; the defences of Saone continued to be maintained and strengthened so that the castle shows evidence of different military architectures. 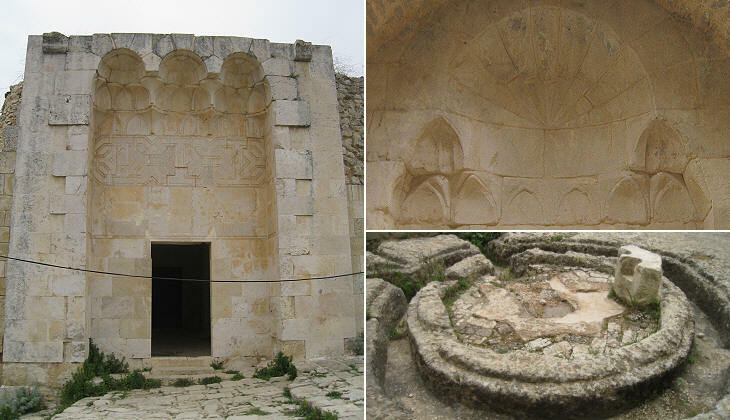 Saone became the residence of a local governor until the XVth century; unlike the Crusader lords of the castle, the new masters chose to have facilities adequate to their rank and the area surrounding the Byzantine keep shows evidence of a small palace with a hammam and some decoration.